Math plays an important role in developing 21st century learners. The Ontario Math Curriculum states, “An information- and technology-based society requires individuals, who are able to think critically about complex issues, analyse and adapt to new situations, solve problems of various kinds, and communicate their thinking effectively. The study of mathematics equips students with knowledge, skills, and habits of mind that are essential for successful and rewarding participation in such a society”. I believe the habits of mind that the curriculum refers to are the seven mathematical processes: problem solving, reasoning and proving, selecting tools and strategies, reflecting, making connections, representing, and communicating. These processes are not only essential to the acquisition of math but are also significant in preparing students to be successful in a 21st century society. They promote collaboration, sharing of ideas, risk taking, discovery and allow opportunities to argue and defend solutions and strategies. 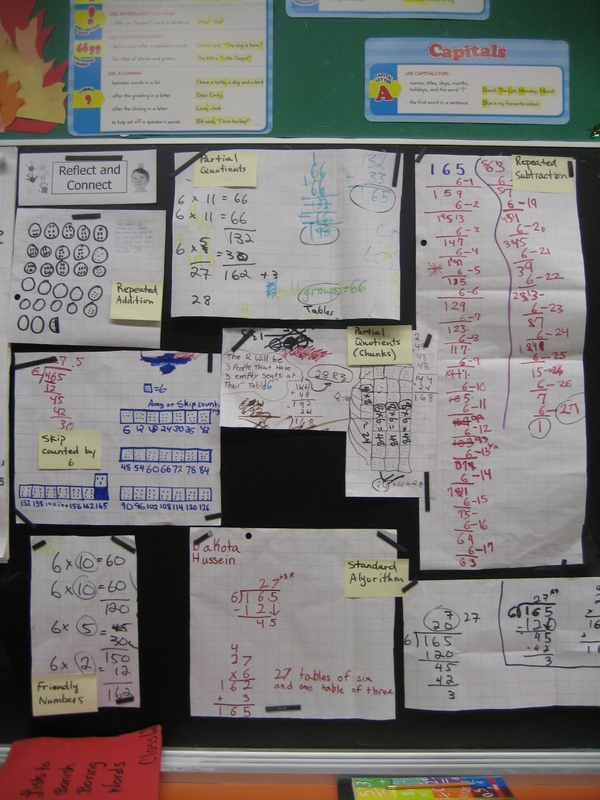 Teaching through the mathematical processes would not only deepen students’ knowledge and understanding of math but also develop a community of critical thinkers, problem solvers, risk takers, and collaborators. Does efficiency = comprehension in mathematics? 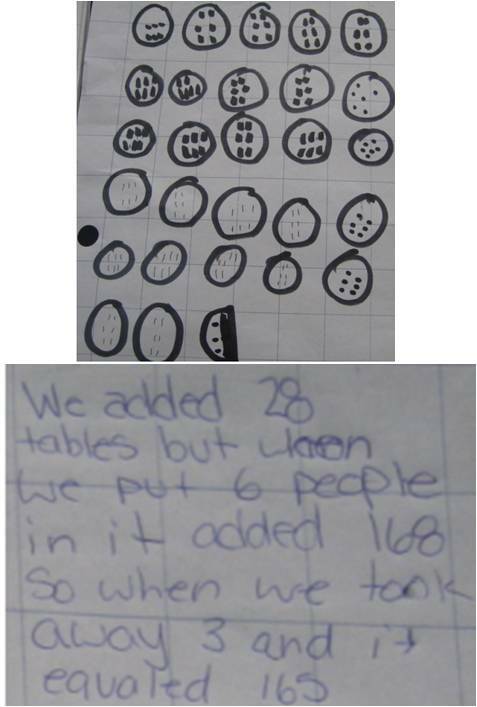 We asked the students to work collaboratively to solve the problem in more than one way and to show their math thinking. Below are two solutions from two different groups. Which group has a better understanding of division? 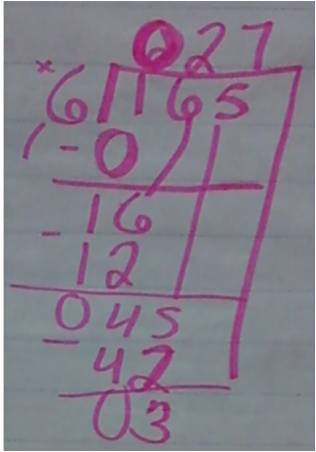 I showed these two solutions to many teachers and at first glance, many chose the group that solved the problem using long division. Why? The main reasons were efficiency and a percieved higher level of thinking. Many teachers viewed long division as a faster strategy and the latter, a time consuming low level strategy. However, is efficiency the ultimate goal in mathematics and does it mean that students that use very efficient standard algorithms to solve problems have a good comprehension of the mathematics? The standard algorithm for division was invented long before the calculator and was viewed as the most efficient way to divide. However, I don’t think it was viewed as the most efficient way to teach division. Yet, the standard algorithm is frequently the first (and sometimes the only) strategy that is introduced to students when teaching operational sense. The standard algorithm, like many other division strategies can be a great strategy but only if it is understood. For many students, the standard algorithm for division is difficult to understand which forces them to rely on the memorization of the steps without any conceptual understanding of division. 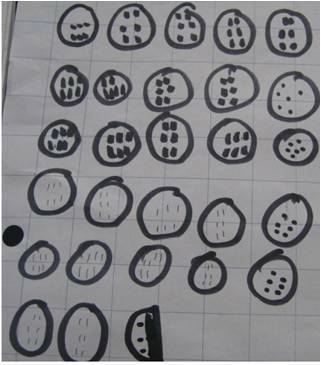 If given the opportunity, students are capable of coming up with their own invented strategies for division. More importantly, these are invented strategies that make sense to them which would lead to a better conceptual understanding. Below are the same solutions to the division problem mentioned above but I have included the students’ final statements that answer the question. 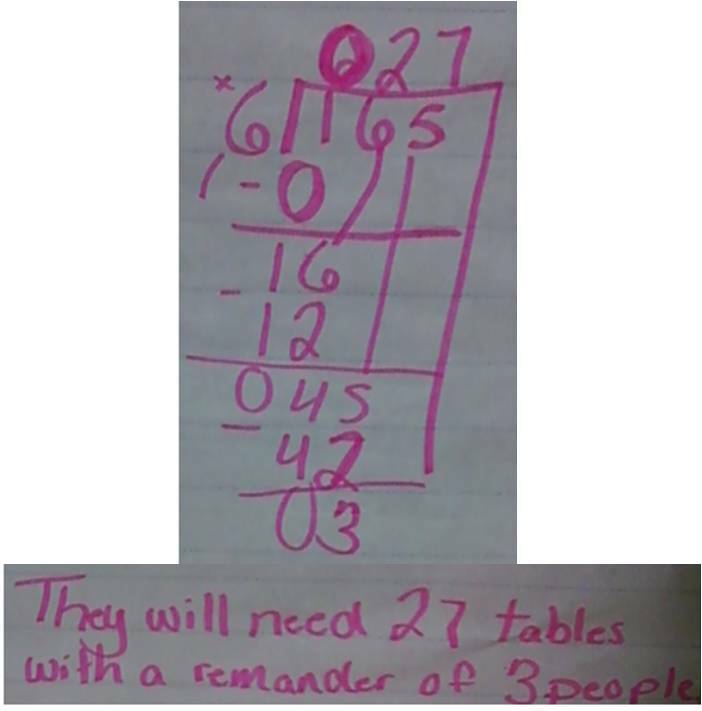 The group of students that used a longer and “less efficient” strategy had a better understanding of division than the group that solved using long division. It is crucial that students be given an opportunity to solve problems and on their own in as many ways as they can and allow them to share and dicuss their strategies with their classmates. By doing so, they may be more likely to make connections between their own strategy with others and move towards a conceptual understanding of a more efficient strategy. When you take a step back as a teacher and let the students loose with math and allow them struggle with guidance, you could be pleasantly surprised with their results and the discussion of their results is where you will find that the most teaching and learning occurs.